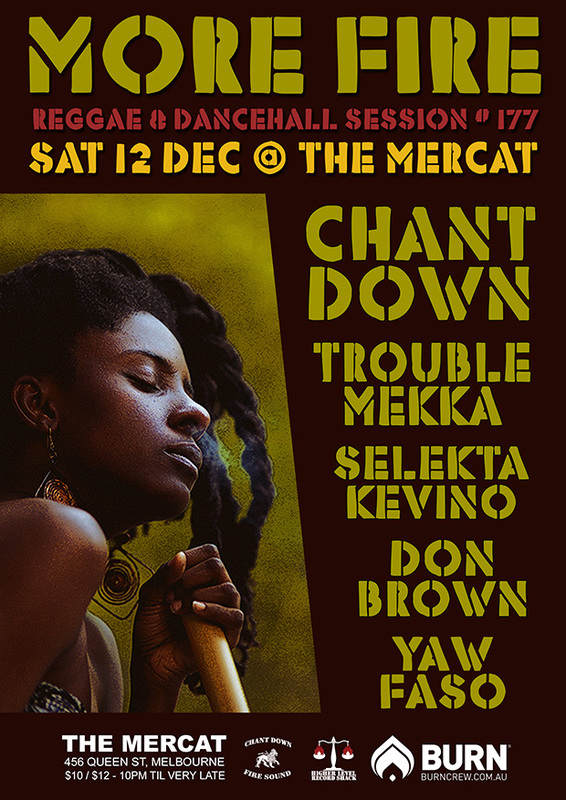 More Fire will be taking a break in November, but returning to the Mercat basement on December 12, ready to kick off the summer reggae dancehall party season! Chant Down’s Jesse I and Ras Crucial will be joined by guest selectors Troublemekka, Selekta Kevino and Don Brown, plus Yaw Faso live on the mic. Up!! More Fire #177 takes place on Saturday 12th December at The Mercat basement (456 Queen St, City). Doors open at 10pm, with a cover of $12 or $10 for concession holders, and PBS FM members.